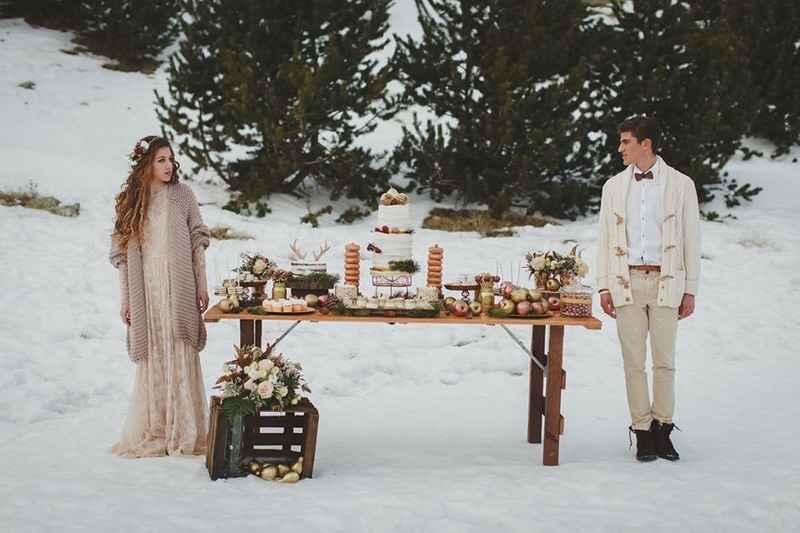 The snowy, frozen landscape at the Vall de Núria ski resort in Spain was the inspiration behind this wintry wedding shoot. 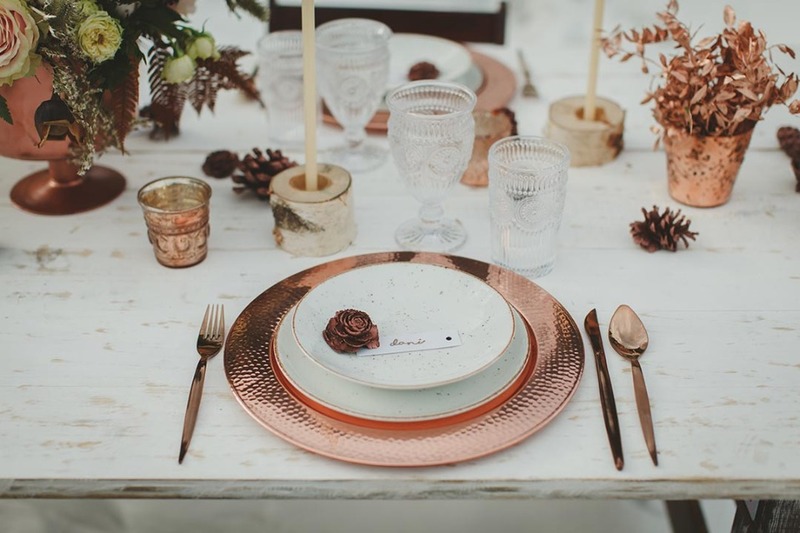 Bodas Redondas used rich textures and natural greenery to create the rustic boho vibe throughout in shades copper and gold. 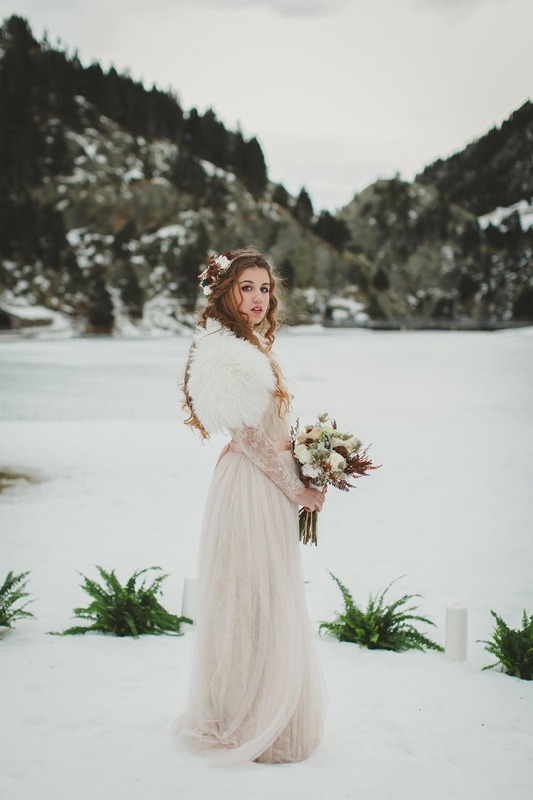 The brides blush gown from Immaclé is simply too gorgeous for words, especially when paired with the white fur caplet. 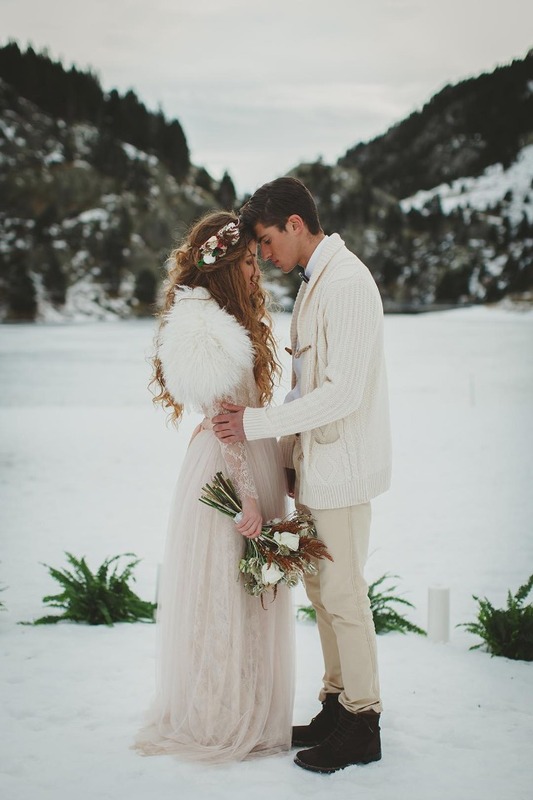 We could go on and on, but we’ll let the photos speak for themselves! 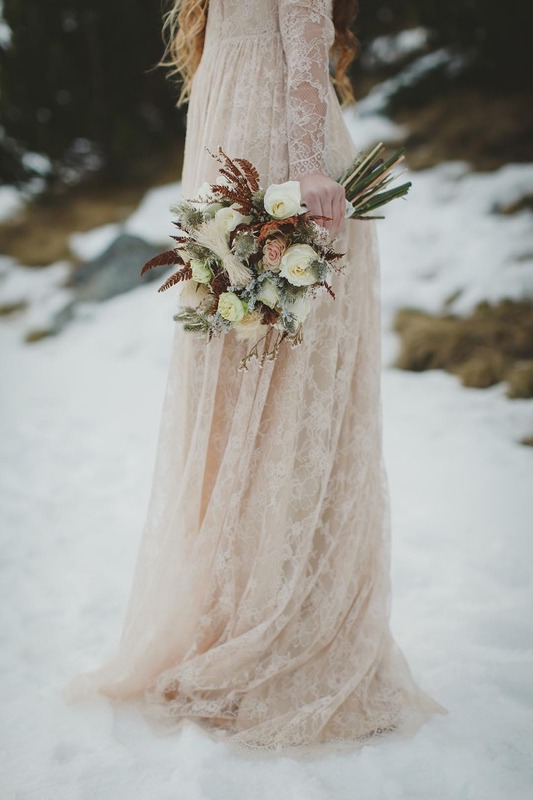 Grab a closer look at all the beautiful images from Wedding’s Art Photography in the full gallery here. 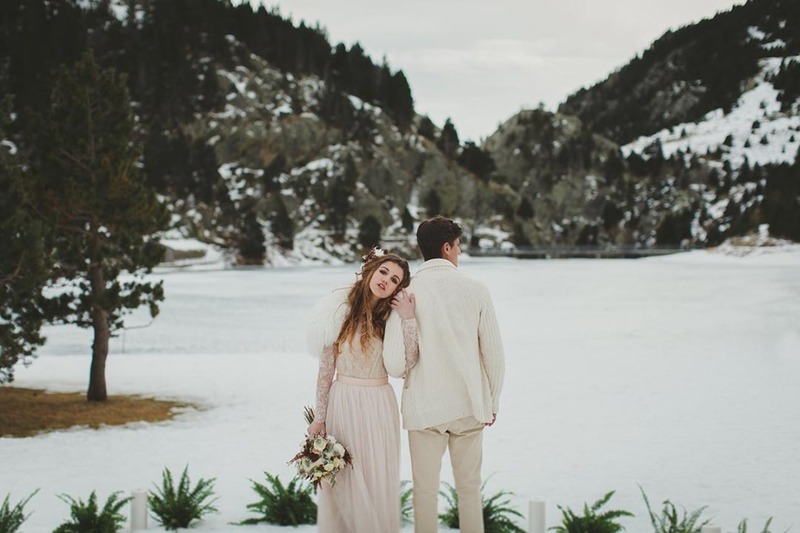 From Bodas Redondas: This "frozen wedding" inspiration came to life at the Vall de Núria, a ski resort with a lake, a church, and lots of snow. 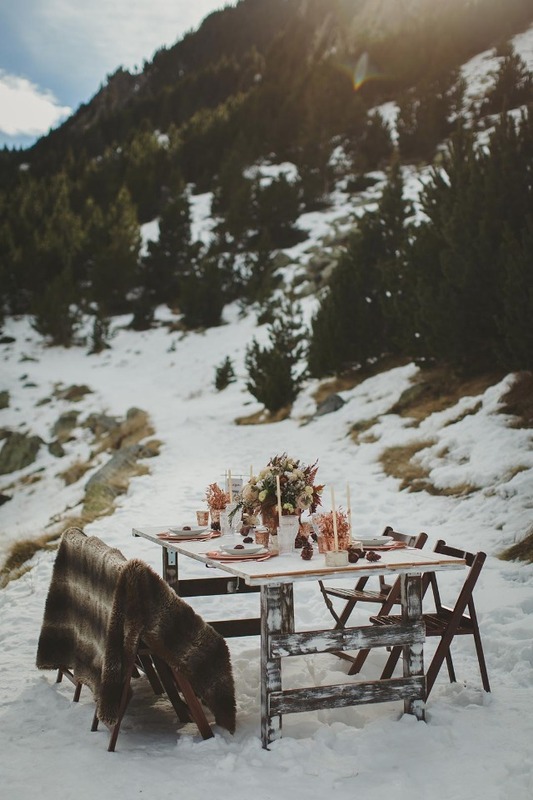 Vall de Núria ski resort, with a unique wealth of nature and landscape, is located in the Eastern Pyrenees of Spain, within the municipal area of Queralbs. 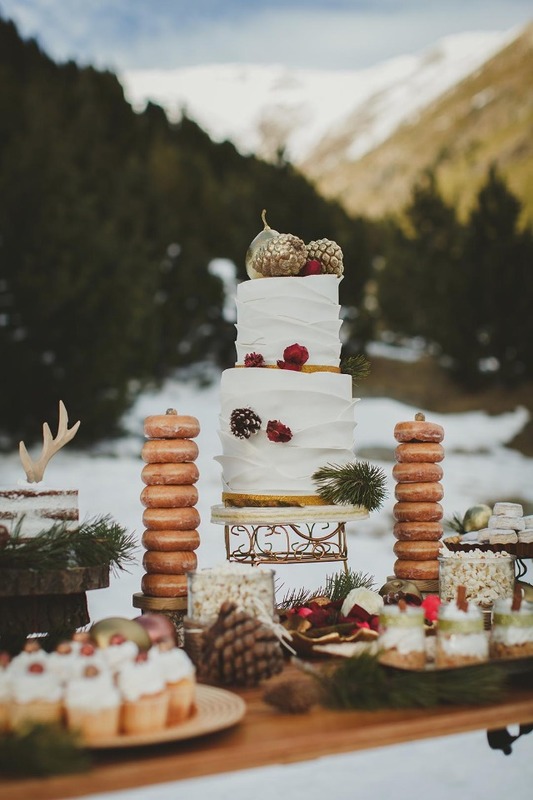 It sits above one of the highest points of the Ribes Valley and it’s surrounded by peaks of almost 3,000 meters from which flow a multitude of waterfalls and streams. 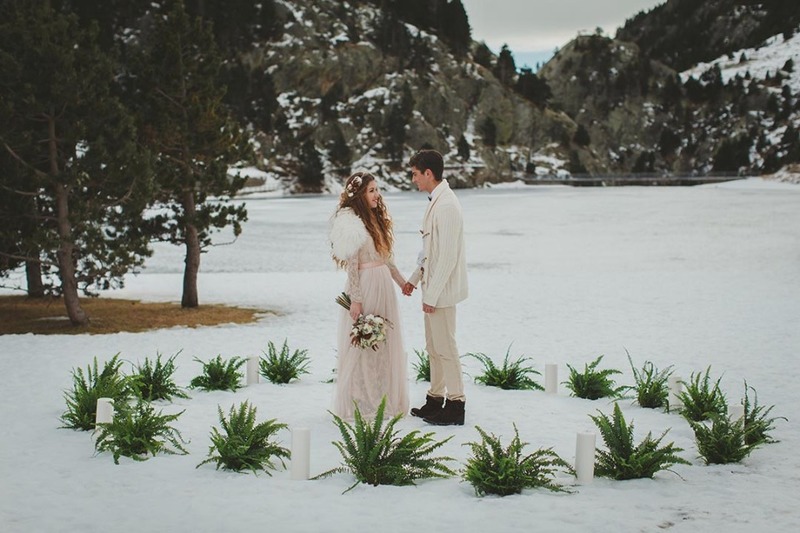 For the ceremony, we were excited to make a greenery circle with candles. 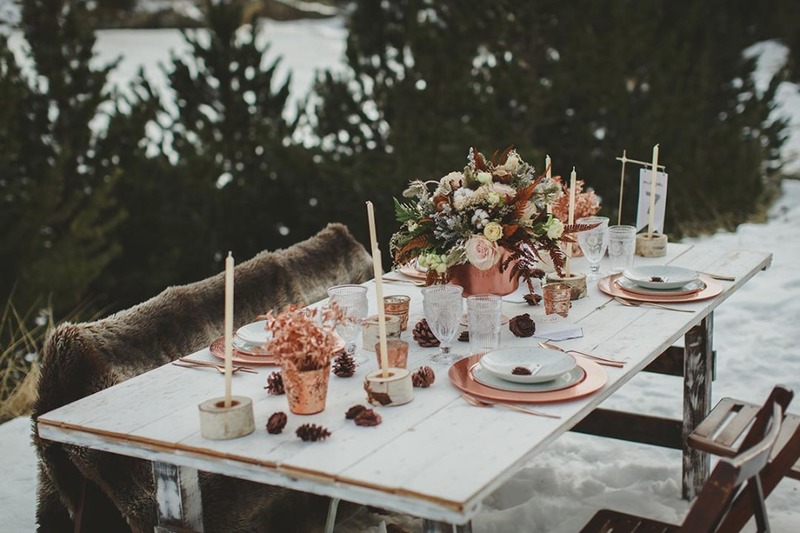 For the sweet table, we decided to use warm colours of white, copper and golden tones. 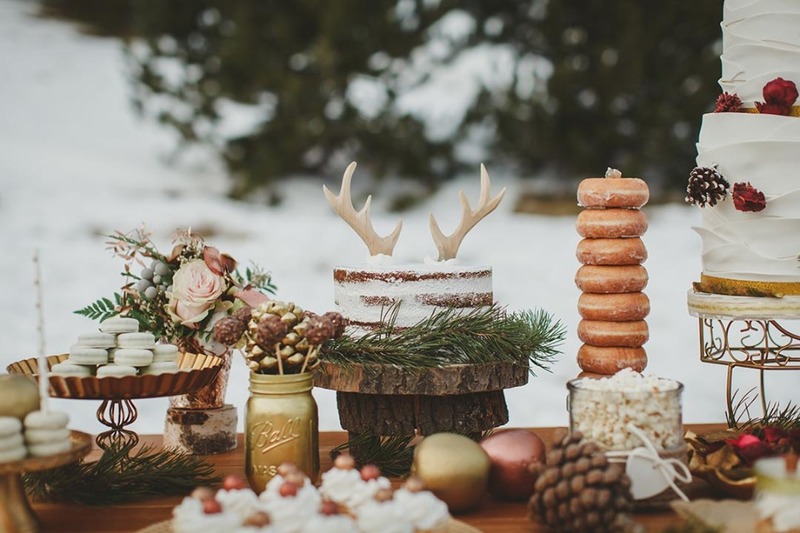 We added a wild side to the naked cake with a wooden antler cake topper. 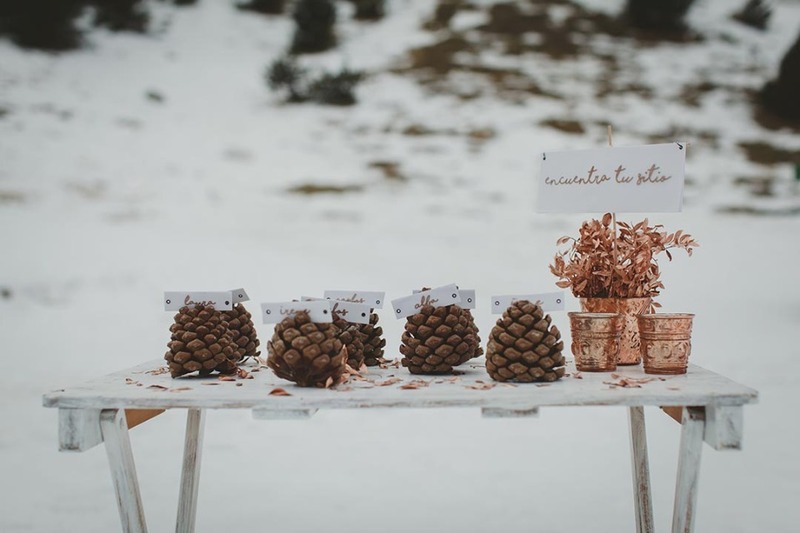 To decorate the table following the same style, we used pinecones, apples and pears. 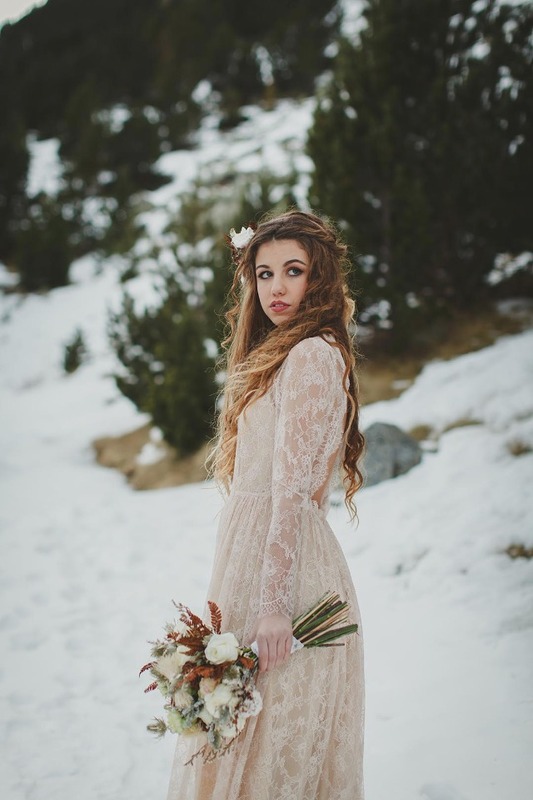 Vall de Núria is a very special location in Spain, and a perfect setting to create a romantic ambiance with a bohemian style blush lace dress from Immaclé. 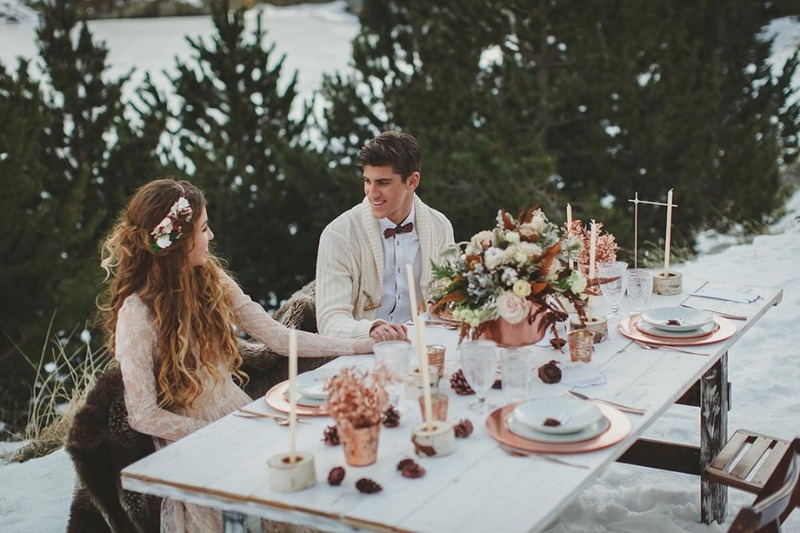 The inspiration for doing this winter wedding was the greenery, cooper and golden colours. 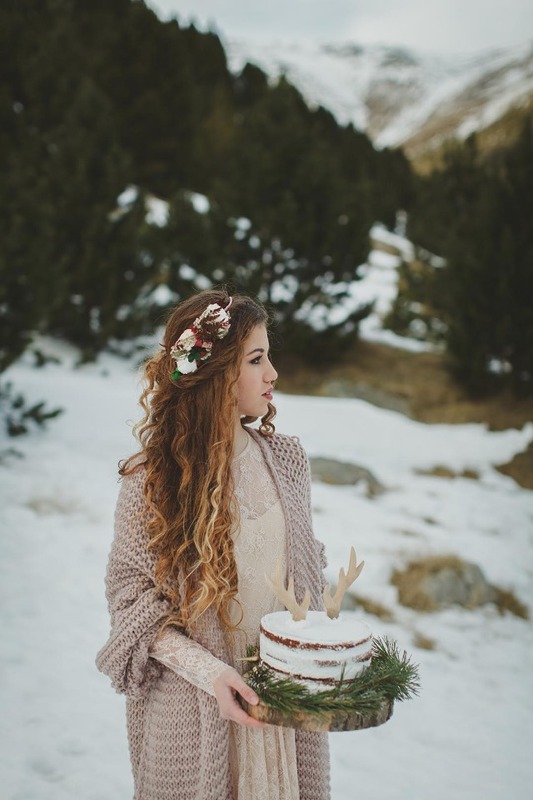 We wanted to do a natural styled shoot, so we used rustic details of wood and pinecones. 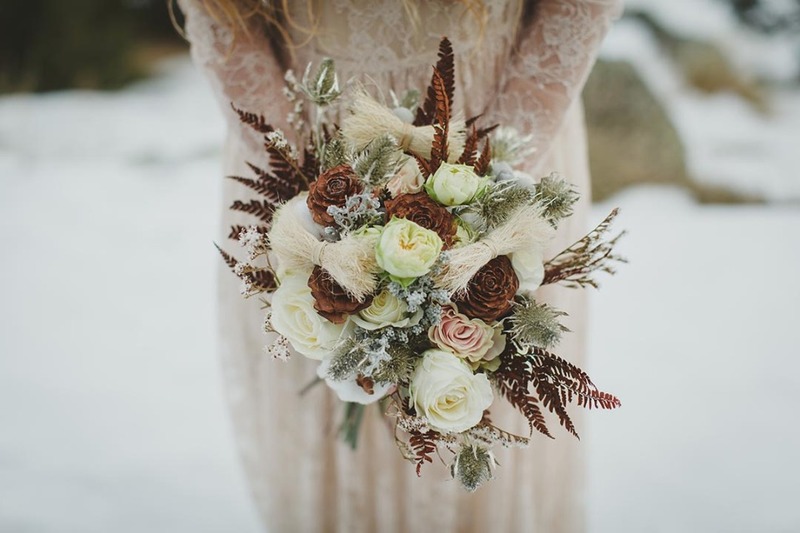 For doing the floral composition, our inspiration was the winter season, and filled it with roses, cotton, pinecones, enymgium, and kochia. 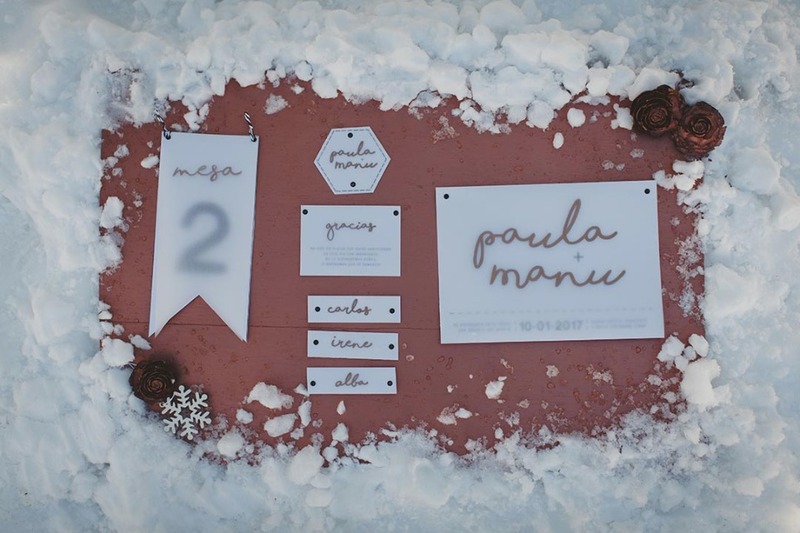 We also added in natural greenery and dry elements to get different textures.